Located within the verdant enclave of the prime Leonie Hill, the 29-storey Leonie Parc View stands like a beacon in an urban oasis which comprises of only 44 exclusive units. The exciting pulse of the prime Orchard Road district is just mere steps away, but is a world of distance from the hustle and bustle. From the lap pool, Jacuzzi, BBQ pits to the well-equipped gymnasium, Leonie Parc View offers a full range of facilities for everyone. Units in Leonie Parc View are fitted with unparalleled luxury and designer fittings, including a walk-in closet, luxurious bathrooms, state-of-the-art kitchen, European appliances and servery. 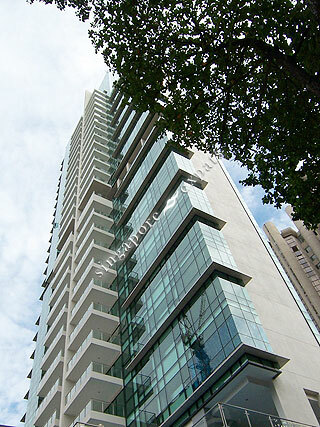 Leonie Parc View is ideally located within close proximity from the Orchard and Somerset MRT station, Orchard Road shopping malls, supermarkets, restaurants and popular educational institutions. Leonie Parc View is accessible via the nearby Central Expressway (CTE) to all parts of the island. Commuting to the Central Business District (CBD) via public transport is convenient and quick.